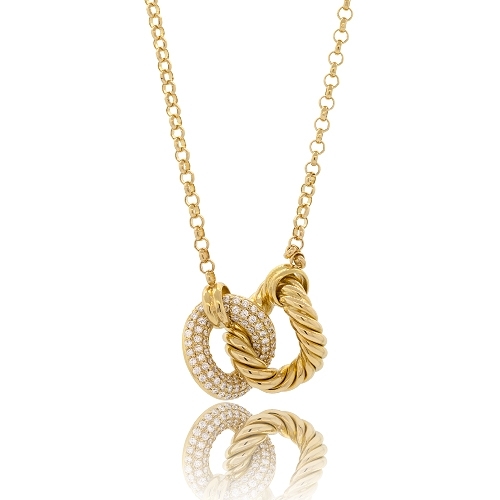 Detailed knot pendant featuring a roped gold design and diamond pave detail set in 18k yellow gold. Diamonds approx. .39ct. Chain 16"